Visitors to Melbourne’s Mornington Peninsula are spoiled for choice when it comes to golf. With so many world-class courses on offer, mapping out a golfing itinerary for this wonderful part of Victoria is tough. So what course to play? The best part about the Mornington Peninsula’s golf courses is that they’re almost all open to the public. Here’s some advice on how to best select the courses, accommodation, food and more when visiting our great golfing playground. You can’t book a golf holiday on the Mornington Peninsula without playing at least one of the two courses at Moonah Links. And it’s fair to say few golfers leave this wonderful part of Victoria without experiencing the “home of Australian golf”. 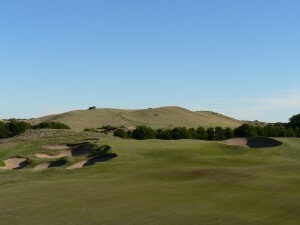 The Open course, venue for the 2003 and 2005 Australian Open and two Moonah Classic tournaments, is a thinking person’s layout. Architect Peter Thomson designed this course wanting the golfer to plot their way around. Position from the tee is critical to avoid difficult approach shots and an almost certain three putt. Most greens are well-guarded but you’re assured to enjoy a consistent putting surface every time when you’ve found them. The Legends course, which has won the hearts of many golfers in recent years, is an absolute beauty. Ross Perrett, Peter Thomson’s business partner, put his heart and soul into this design.And I reckon he also had plenty of fun doing it too. That enjoyment certainly rubs off on golfers who can’t resist booking it again. The holes take you on a journey through a beautiful parcel of land with large greens and a heap of bunkers positioned to catch drives and wayward approach shots. Moonah Links is a lot more than golf. There’s also a five star hotel, conference facilities and a residential development that weaves its way through parts of the two courses. Moonah Links has its own academy which is fast establishing a reputation with elite amateur associations from Australia and overseas. 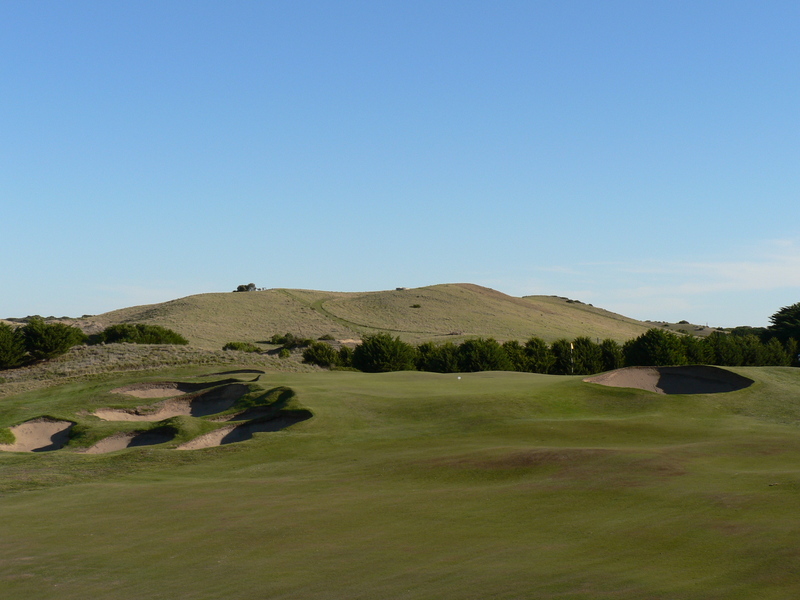 When the RACV purchased the Cape Schanck Resort , they managed to acquire one of Victoria’s best golf courses. The 18-hole Robert Trent Jones-designed layout was the frontrunner of links style courses on the Mornington Peninsula. And a lot of locals still believe it’s at the top of the list. Trent Jones, who added his design expertise and name after the work done by the late Colin Campbell, has made stunning use of the rolling landscape. Put simply, this is a fun golf course. It’s impossible to find any holes that look even slightly similar. The opening nine is the easier of the two. There are a number of short par fours that can often set the tone for what lay ahead. But don’t be fooled. Cape Schanck has plenty of bite. That starts when you step on the 10th tee. Around the back is where you’ll take in the most amazing views of Bass Strait.You’ll also be required to keep the drives straight from the tee. The RACV Cape Schanck course is part of the fully integrated resort with accommodation, restaurant and other facilities. I’d challenge any golfer to say they can find better views than Flinders Golf Club . Right from the opening hole, you’re hit with stunning surrounds. I last played Flinders on New Years Eve and couldn’t believe the condition. The layout has always been fantastic, but the work that’s been done to drought proof the fairways is amazing. Being one of the few clay-based courses on the peninsula, Flinders always struggled over summer. But now there’s a wonderful cover of Santa Ana couch across every hole and I’m told that will last throughout the year. Flinders takes you back to what true links golf is all about. The greens are relatively small and the landing positions from the tee, especially on some holes, are tight. Instead of taking driver, you’re forced to think about a lot of the shots. I’d say resident professional Gavin Coyle knows the tricks to playing links golf better than anyone. Having grown up and played his amateur golf in Scotland, he’s familiar with the type of shot making required to score well around a course like Flinders. The course isn’t the only improvements made to Flinders Golf Club over the last year. The clubhouse has also been extended and modernised to cater for group bookings and to better serve the members. Coyle operates a modern golf shop and the club especially welcomes group bookings over the coming months. Set over 150 acres of rolling hills, The Dunes Golf Links is a “must play” for most visitors. The Dunes is the region’s only 27-hole facility. Golfers after a true test of quality links golf generally tee up on the 18-hole course. Those looking for something less demanding but equally as enjoyable opt for the 9-hole Cups layout. The Dunes recently hosted the Victorian Senior Open, won by Victorian Mike Clayton. Run in conjunction with the Big Pot, a unique pro amateur knockout event, the state senior open again attracted the cream of Australian senior golf. Every year the course also hosts Australia’s top amateur golfers in The Dunes Medal – a Golf Australia national selection tournament. Resident professional Peter Croker is a PGA of Australia coach of the year and widely regarded for his teaching ability. Located at the most southern tip of the Mornington Peninsula, Portsea Golf Club is certainly worth the extra drive. Although a private club, Portsea welcome non-member golfers to enjoy their fabulous facility. What sets Portsea apart is its fine array of short holes. The par-four 13, aptly named Little Devil, is an absolute stunner. 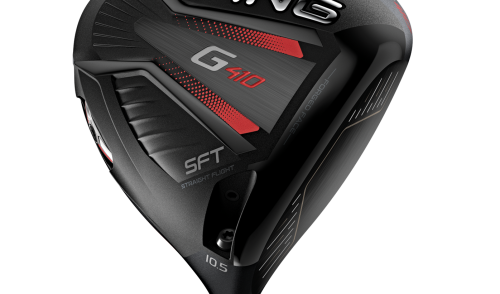 From the tee, you’re faced with the real possibility of reaching the green on most days. But leak the drive left or right and you’ve got plenty of work to make par. Large bunkers guard the left side of the green. 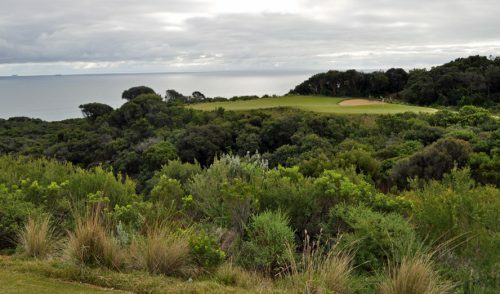 Portsea has earned a fine reputation over the years, especially with golf professionals. The club hosts its annual pro-am on January 2 and over the last 30 years has played host to names like Robert Allenby, Geoff Ogilvy and a who’s who of the entertainment world. Portsea Golf Club is preparing to embark on a major redevelopment where some parts of the course will be sold for residential. The current clubhouse and some holes will be altered as part of the changes. Over the last 12 months Eagle Ridge has undergone a major transformation. The configuration of the course has remained the same however the quality of the playing surfaces has improved considerably. Eagle’s Ridge’s owners have invested more than $600,000 to drought proof the course. And it’s been money well spent. The Santa Ana couch fairways are close to 100 per cent cover. That’s not only ensured great fairways all year round, but also saved the club and the environment by cutting the use of water by more than 60 per cent. Eagle Ridge is perhaps one of the region’s most visually attractive courses. The attention to detail around tee areas and surrounds is like nothing else on the Mornington Peninsula. Not long by today’s standards, Eagle Ridge isn’t overly demanding. A lot of the landing areas are wide and the greens offer a big enough target – even for the “average” golfer. The clubhouse at Eagle Ridge is a showpiece. Eagle Ridge invests a lot of time and effort into catering for social groups and the facilities are perfectly suited to cater for that market. If there’s one golf course that’s often overlooked by visitors it’s Safety Beach Country Club . Yet it’s hard to understand why. This ripper 18-hole course, adjacent to the Mornington Peninsula Freeway as you’re coming from Melbourne, is consistently rated by the professionals as one of the best conditioned layouts. Every year, the club plays host to some of Victoria’s best touring pros in its annual pro-am. And every year they rave about the course – especially the greens. Safety Beach isn’t a long course, nor is it too demanding. It’s an easy walk, which makes it appealing for those who prefer to walk. One of the standouts for me is the friendly hospitality of the Safety Beach club. You’ll never meet a more welcoming bunch of people. The club can cater for social group bookings and can tailor to suit the needs of the group. Resident professional Andy Rogers operates the golf shop and provides lessons. Stay and play packages can also be booked at the adjoining Valley Resort which offers one and two bedroom apartments. Stand on the first tee at Rosebud Park Golf Course and you’ll be blown away. The views are amazing with a panoramic vista over Port Phillip Bay and beyond. But this 18-hole course certainly isn’t just about views. It’s a seriously good golf course. 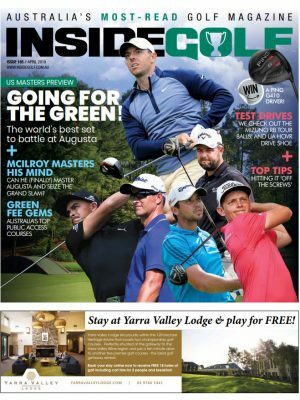 Resident professional Tim Silver, who recently returned from a tour of Scotland and Ireland, puts his home track right up there with anything else on the Mornington Peninsula. One of the most challenging aspects of Rosebud Park is the greens. There are so many subtle undulations that are often overlooked. Renowned course architects Thomson Perrett have done some work at Rosebud Park in recent years. They’ve added a few greens and changed the configuration of some holes. Their work has made a great golf course even better. 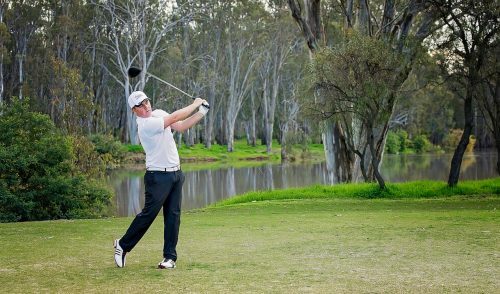 Rosebud Park, which adjoins a national park and is surrounded by mature trees, is arguably the cheapest golf in Australia. 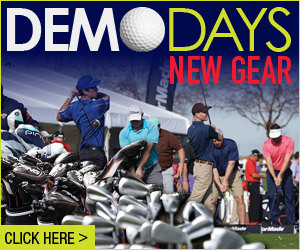 There’s a modern golf shop and carts can be reserved at the time of booking. Social groups are especially welcome with barbecue facilities designed to meet their needs. The Mornington Peninsula’s only 36-hole golf course must be the envy of every golf club in Australia. Rosebud Country Club has a virtually endless supply of treated water. And that means the condition of both the North and South courses is always maintained to the highest standards. Rosebud Country Club is a member club, but has the unique ability to divide members from visitors because of its two courses. The North course is the older of the two layouts with its large pine trees framing the holes. But the South is equally as enjoyable. Over the years, the club has played host to a number of tournaments, more recently the World Blind Golf Championship which attracted international publicity. Rosebud Country Club is open to visitors every day of the year. The adjoining Fairways Resort and the restaurant facilities make it an ideal play and stay destination. The Mornington Peninsula Official Golf Map is the best way to plan your next golfing holiday to this wonderful part of Victoria. And the best part is it’s free. The map is produced by Mornington Peninsula Golf Tourism and the 14 member courses – Devil Bend, The Dunes, Eagle Ridge, Flinders Golf Club, Moonah Links, Mornington Golf Club, Mt Martha Public, The National Golf Club, Portsea Golf Club, RACV Cape Schanck Resort, Rosebud Country Club, Rosebud Park, Safety Beach Country Club and Sorrento Golf Club. In addition to descriptions on each course, the map can also help with accommodation and attractions. The Mornington Peninsula has a vast array of accommodation ranging from luxury hotels to caravan parks. But it’s always nice to bed down for the night at a place that’s “golf friendly”. That means the owners understand the game and your requirements. Fairways Resort, adjacent to the Rosebud Country Club, is well known to golfers from around Australia. Manager Dean Perry is himself a golfer and his father Doug is a former state champion and local identity. The rooms at Fairways Resort are perfectly suited to accommodate couples and groups. Best of all, the 36-hole Rosebud Country Club is just a pitching wedge from your front door. Another great choice is Sunset Views at Cape Schanck. The views from this luxury lodge are amazing while the service is personalised and friendly. Also in Cape Schanck, the RACV Cape Schanck offers 52 ocean view rooms and 11 condominiums. Being part of the resort, you’ve got everything at your finger tips including restaurant, bar, and of course the Robert Trent Jones-designed golf course. Another one-stop shop for golf and accommodation is Moonah Links. It offers individual rooms and several “lodges” that are ideal if you’re travelling in a group. There is no better place to relax after a round of golf. Bordering Moonah Links, the Peninsula Hot Springs has fast become one of the region’s most iconic tourist attractions. Every year thousands of people enjoy the unique hot springs pools and day spa. Like the historic and famous spa centres of Europe, Asia, the Americas and New Zealand, the natural hot springs on the Mornington Peninsula brings the blissful and healthy pleasure of ‘taking the waters’ to the people. There are plenty of wonderful wineries to visit on the Mornington Peninsula. But if you’re pressed for time, be sure to make Red Hill Estate the first choice. Red Hill Estate is a boutique Australian multi-award winning wine producer located in the stunning surrounds of Red Hill – an internationally recognized cool climate region. Red Hill Estate’s mild maritime climate is perfect for growing Chardonnay, Pinot Noir, Pinot Grigio and a variety of other grapes for still and sparkling table wines of the highest quality. Wine can be purchased from the cellar door and Max’s Restaurant is arguably one of the peninsula’s finest places to dine. Over the years it’s become especially popular with golfers as many of the tour players that competed in the Australia Open at Moonah Links would frequent Max’s frequently during their stay. 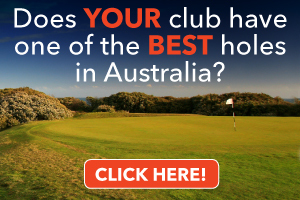 One Response to "Mornington Peninsula: Australia’s golfing playground"
Morningtongolf golf club has to be on this list. With views across the bay and the only course to have holes running along the coastline, members and visitors need not travel further and pay big dollars. Fast greens and Santa Anna fairways make for a great day, pro shop staff are terrific and the newly renovated bar and bistro add to the wonderful value that Morningtongolf Golf Club is.